The Innova Crysta has been Toyota Kirloskar Motor’s best-seller ever since it went on sale in May 2016. Since the 7-seater premium UV segment is witnessing increased rivals, Toyota has to respond and is doing so with the updated Innova Crysta. 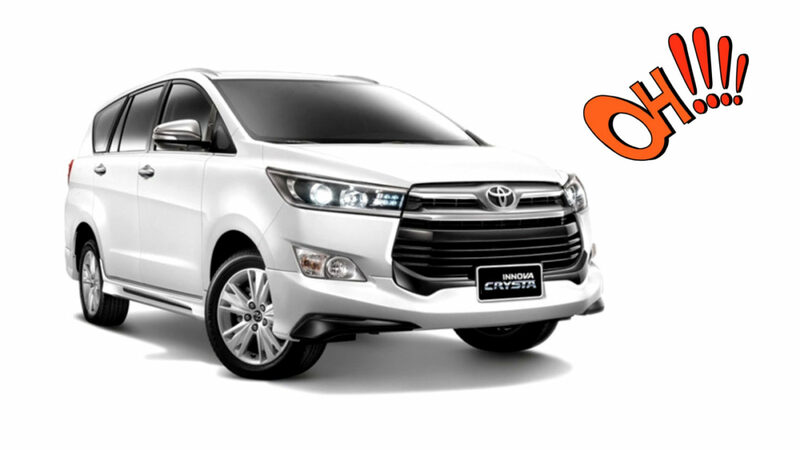 In an exclusive report, we can reveal that Toyota will be launching the 2019 Innova Crysta in the domestic market on the 8th of April. It will be a regular Model Year update to keep the lifecycle running as Toyota is adding some new bits and bobs. Despite being around for nearly three years, the MPV has not received a significant facelift as the upmarket exterior and spacious interior have been a big hit among buyers. 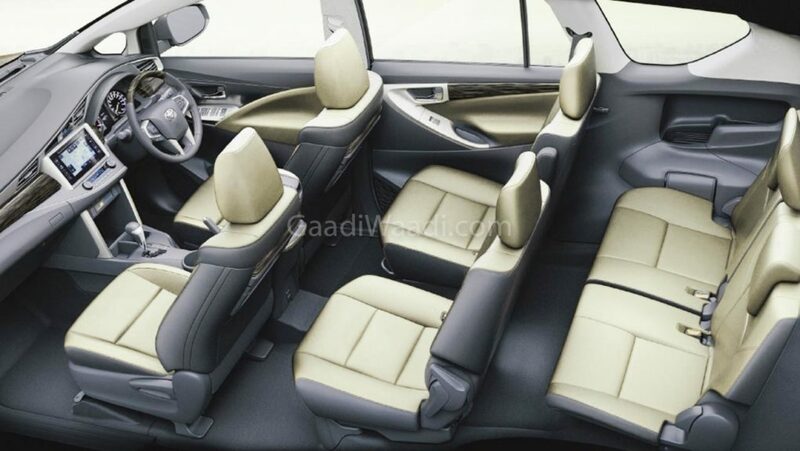 The 2019 Toyota Innova Crysta will come equipped with updated cabin and features. 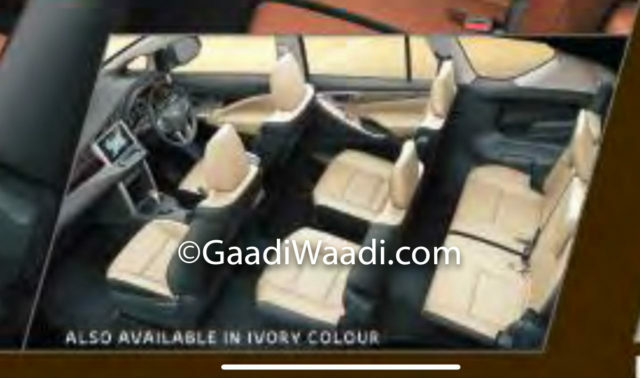 The Japanese auto major is introducing a new Ivory interior colour option while leather perforation can be seen in the upholstery of the diesel variants. Another included feature is the Crysta insignia in the ZX and VX variants. Furthermore, fast USB charging port, seat perforation and heat rejection glass will be part of the 2019 version. No mechanical and cosmetic changes have been made as the Innova Crysta continues to use 2.4-litre diesel, 2.8-litre diesel and 2.7-litre petrol engines. The former produces 150 PS at 3,400 rpm and 343 Nm of torque between 1,400 and 2,800 rpm. It is paired with only a five-speed manual gearbox. The bigger 2.8-litre GD series diesel kicks out 174 PS at 3,400 rpm and 360 Nm of torque at 1,200-3,400 rpm and is mated to a six-speed automatic transmission only. The 2.7-litre four-cylinder petrol unit, on the other hand, develops 166 PS at 5,200 rpm and 245 Nm at 4,000 rpm with manual and automatic transmission choices. We do not expect the fuel economy to be tuned as well as the 2.4-litre and 2.8-litre diesel engines deliver 15.10 kmpl and 14.29 kmpl respectively while the petrol motor returns 11.25 kmpl on manual and 10.75 kmpl on automatic. The Innova Crysta is retailed in G, GX, VX and top end ZX variants and there will be no big change in pricing on the 2019 version. It currently costs between Rs. 14.93 lakh and Rs. 23.24 lakh (ex-showroom).